The Spectrum Retreat arrived on Switch this month – following the earlier launches on PC and console – a game that in its prototype stages won the creator the young game developer BAFTA in 2016. Lone developer Dan Smith spent five years on this project, and what he’s achieved here bodes well for his future in the games industry. What a debut. Groundhog Day: Following the same routine everyday like clockwork in the Penrose Hotel, you must break the cycle in order to escape. 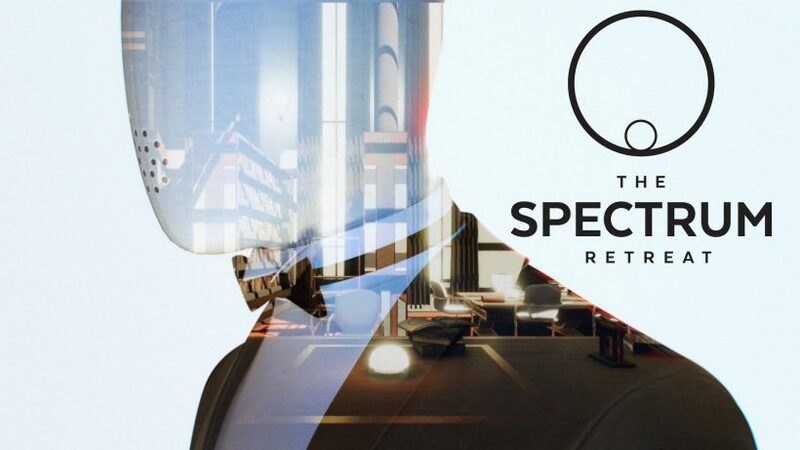 The Spectrum Retreat is a narrative-driven puzzle/walking simulator that sees the main character awakening in an AI-controlled hotel ‘haven’. Trapped in a cycle not unlike the opening scenes of Bethesda’s PREY, you must work to uncover memories of how you got stuck in the first place, solving puzzles to gain access to different floors and ultimately escape. Cooper, your mysterious eyes and ears throughout the story, despite her rambunctious typing on what can only be described as the world’s oldest keyboard, provides well voice-acted commentary that only serves to heighten the sense of paranoia setting around you as you delve into the strange secrets of the building, and the tidbits of information on the buildings creation create a fascinating sci-fi vibe. The two different styles of gameplay aren’t really blended together, and instead sort of operate independently/parallel to each other a bit awkwardly. But they both work, and the puzzles break the Groundhog Day-esque monotony of the hotel’s walking simulator cycle just as it might get boring. The eerie hotel runs nicely on the Switch hardware, but it is a little rough around the edges. Lighting effects are jagged, some of the textures are a little muddled, and there can sometimes be some flashing colours at the corners of the screen which can be off-putting when focusing. It pains me to say that after looking over PC footage of the game, but it’s unfair to penalise for an unfair hardware advantage, and handheld mode is always a bonus. Colour outside the lines: The Spectrum Retreat’s colour-based puzzle sections are its main gameplay crux. Puzzles, whilst clearly derivative of Valve‘s genius, show why Dan was so deserving of the BAFTA at the time. 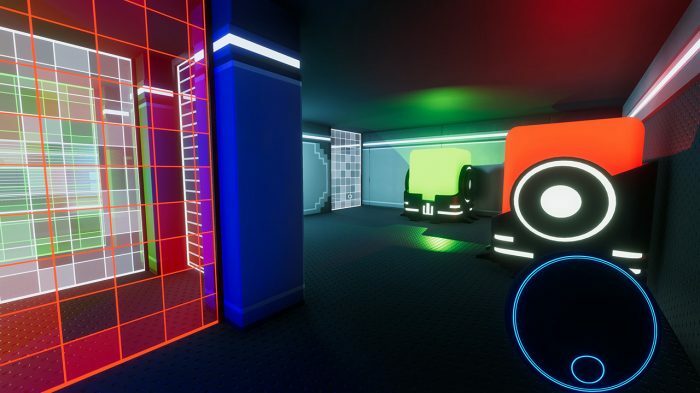 Universally understandable and intuitive yet challenging and easily overlooked, the colour based platforms and teleportation systems give the same sense of achievement as a Portal game, which again is an impressive feat from a developer without a big team working on the project. The final fifth stage, however, is pretty brutal. Whilst the other puzzle sections are split into individual chambers, the finale is one singular level shaped around the narrative, and one wrong move or colour placement will force you to replay the entire stage. Trying to rotate along walls whilst simultaneously colour changing and walking through force-fields, especially in the Switch version, can leave you feeling disorientated, which I understand is the point, but the difficulty spike perhaps doesn’t feel as gradual or elegant as perhaps a Valve title. Turning red: Puzzles get increasingly difficult as the game’s narrative reaches its emotional crescendo. The Spectrum Retreat doesn’t particularly do anything new that I haven’t seen in a first-person puzzle game or walking simulator, but it provides a genuinely emotional, well-acted story with puzzle segments that capture the same feelings of satisfaction experienced in a Portal game. It’s a marvellous achievement and only proves that the road ahead shall be, much like the colours on the spectrum, bright and radiant for young developer Dan Smith. 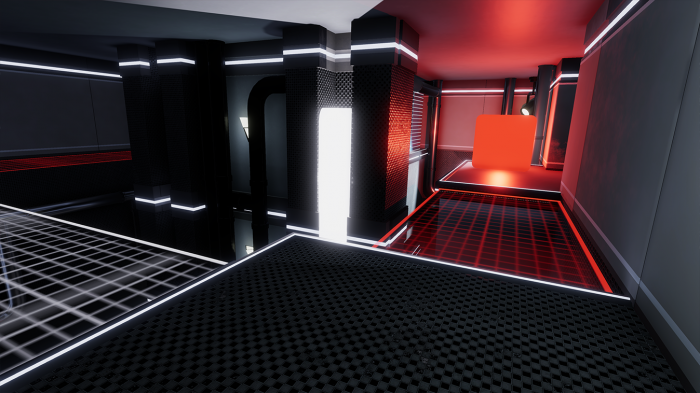 The Spectrum Retreat could very well pass for one of Aperture Science’s many testing chambers, and that’s a big compliment for a sole independent developer’s debut. 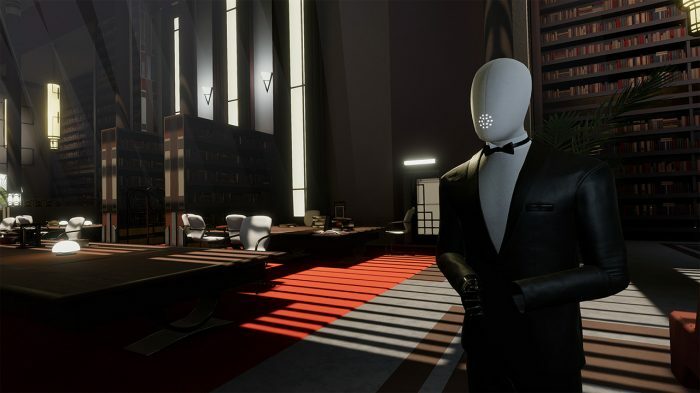 With a creepy, intriguing narrative with multiple endings, the game doesn’t do anything we haven’t seen before, but still comes highly recommended for fans of the genre.